The National Institute on Drug Abuse (NIDA) has awarded $5.5 million to two University of Colorado professors to study how cannabis legalization has impacted human behavior. The study, led by behavioral geneticist John Hewitt and psychiatry professor Christian Hopfer, MD, will collect data from 1,000 sets of twins in Colorado and Minnesota ages 23 to 29 over a period of five years. They’ll be examining self-reported cannabis use and any changes in mood or behavior. Recreational marijuana has been legal in Colorado since 2014, so twins in Minnesota, where recreational cannabis is still illegal, will act as the control group. Hewitt says that they hope to find out if legalization has increased cannabis use, and whether cannabis use impacts the frequency of using alcohol or other substances. They’ll also monitor any changes in the study participants as far as mood, employment status, family functioning, and educational completion. 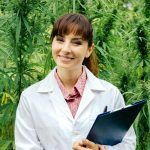 Hewitt, however, said that their study is set up to look at any correlation between cannabis use and mood or behavior changes, rather than causation. Hewitt and Hopfer will be studying both identical and fraternal twins, which will help determine if there’s a correlation between genetic makeup and any changes in behavior that can be attributed to cannabis use. 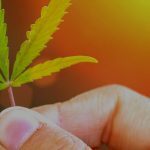 Ken Gershman, who manages the Colorado Department of Public Health and the Environment (CDPHE) thinks that the study will contribute to the conversation around cannabis. Hewitt plans to start recruiting sets of twins in January, and while the study is slated to last five years, he expects to begin publishing preliminary findings in one or two years.